A girl, her voice, a guitar. That could suffice for Bare. Seldom was an album more aptly named. 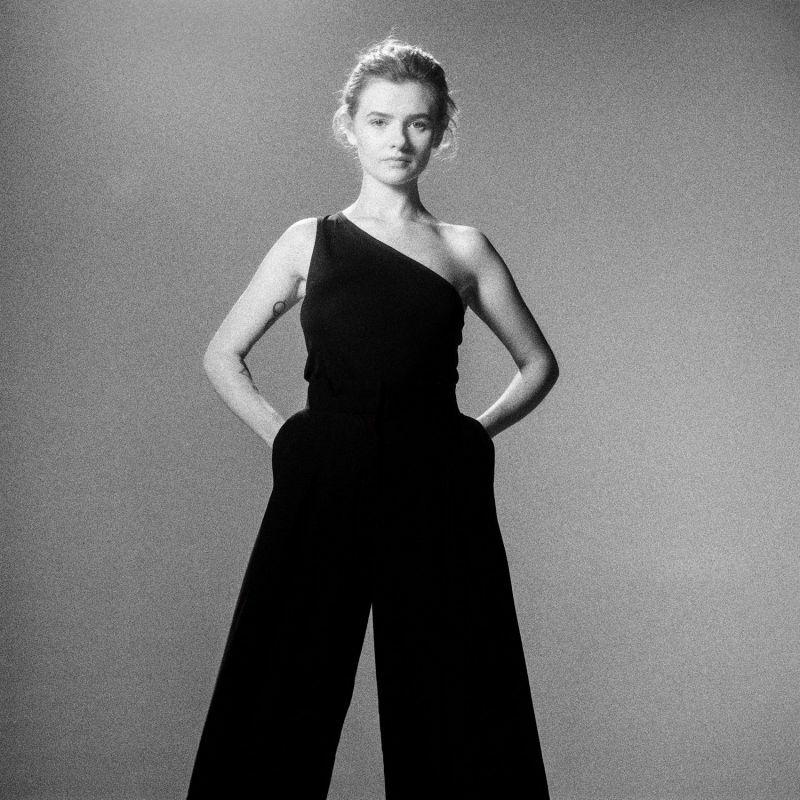 Of coure the studio and the effects were used to enhance Rosie Carney's voice, but basically she could be playing in your living room and most likely just as impressive. Listening more closely you will find a harmony voice, an odd sound, a cello. In Thousands Lisa Hannigan joins in. What strikes me is how close the music on Bare touches on the most sensitive songs of Big Star, i.e. Chris Bell's songs. Rosie Carney really bares herself as a singer and player. She dares to step in front of her music, in front of her songs and present herself foremost. On Bare there is no hiding. If the songs were flawed there is nothing, literally nothing to hide behind. There not so there's no need to hide anything. The first reference that came to mind is Anna Tivel's album of a few years back. I notice straight away that Rosie Carney is more interesting and, in all its soft- and gentleness, so much more direct. At 20 Rosie Carney has her whole life in front of her. That is the way her music sounds. There's no anger, no songs of extreme pain and teenage angst. Her music sounds like her life has been straight forward and stable. The result is an album that is extremely pleasant to listen to. There is no harm and no intention to harm in Bare. (I could be horribly wrong of course, but listening to the album that is the impression I get.) "My orchid has died"; if that is your worst crime, need I say more?! With Bare Rosey Carney has given the world an album of beauty, like in the past 50 years several female singer-songwriters have done. With her sweet voice and soft sound she sets herself somewhat apart. The impressive thing is that she comes across successfully and shows that she deserves her spot in the singer-songwriter pantheon. For now a modest spot, she is only just starting out, but a spot nonetheless. Need I say more?